Ooh Mummy! 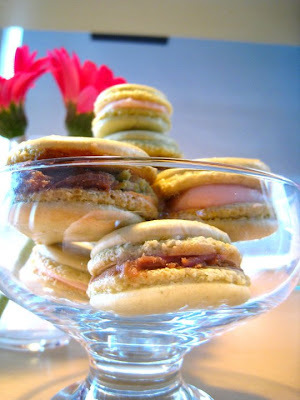 : Making Macarons/Luxemburgerlis! One tiny fish in a sea of macaron posts. 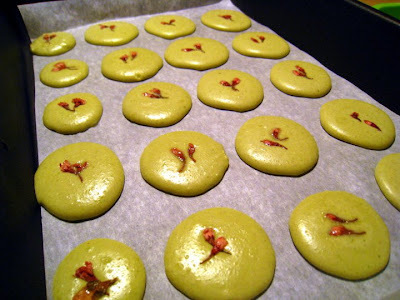 Making Macarons/Luxemburgerlis! One tiny fish in a sea of macaron posts. 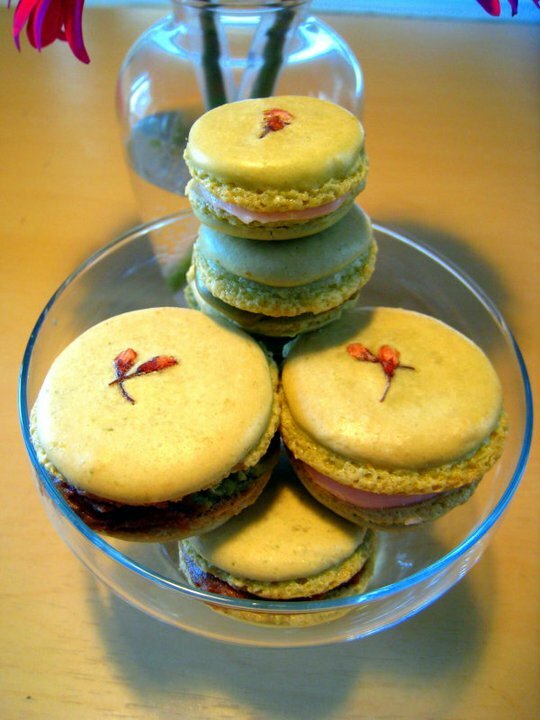 Green Tea and Cherry Blossom Macarons with 2 fillings: green tea-chestnut and rose creme. I finally got down to making macarons because of a dessert party. 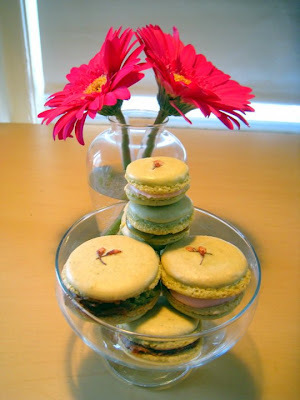 Akin to gilding the lily, I adorned each maccie with the cherry blossoms Keiko and I pickled last summer. Overall this batch was phenomenal even if I do say so myself. 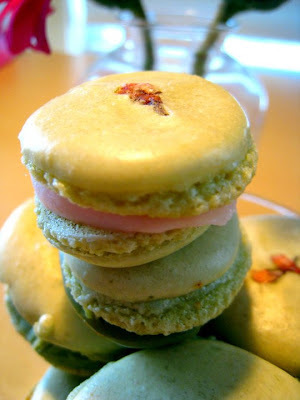 They were everything a macaron's supposed to be: thin, crisp shell with chewy and moist interior. If I could improve on it a little, I would bake the meringues at a slightly lower temperature because rogue maccies had a slight singe on them. in addition, although I managed to obtain "la pied" for my meringues but for some reason they weren't very uniform. Be warned though. Despite what the recipe says, making macarons is time-intensive and requires at least 2 days of prep time. 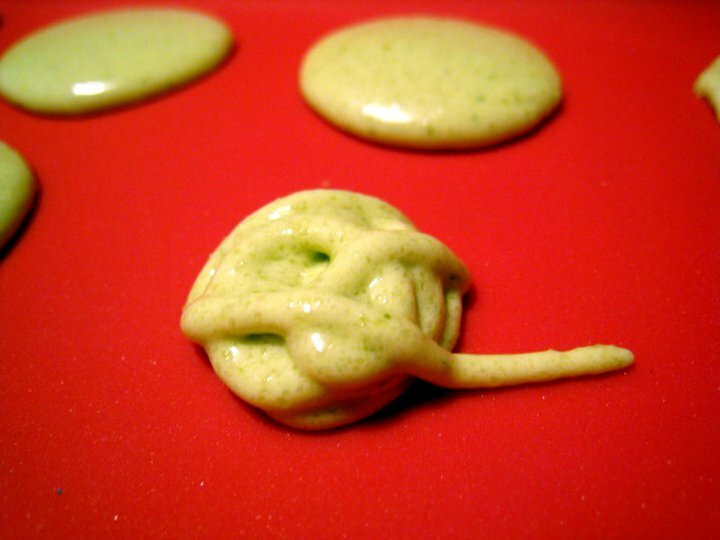 Tips from various bakers and bloggers suggest using egg whites left at room temperature for several days and rapping the baking sheet to dispel air bubbles in the maccies (people are divided on this). Also, get a candy thermometer and piping bags/tips because they make everything so much easier. If I can get past my inertia, I'll venture into different flavors some time soon. Total time: 1 hour, plus cooling and assembly timesServings: 2 to 2 1/2 dozen sandwich cookiesNote: Based on a recipe from "Macaron" by Pierre Hermé. 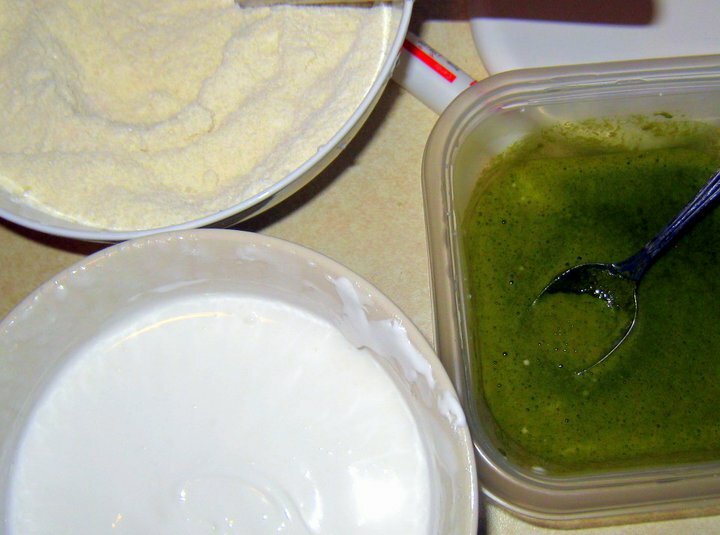 The almond meal (or flour) should be finely ground. 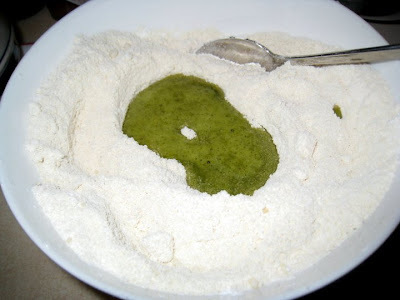 If a bit coarse, process the almond flour and powdered sugar in a food processor for a finer texture before running through a strainer or sifter. Additionally, if the almond meal feels a bit moist, spread it out on a lined baking sheet and place in a 325-degree oven to dry out, about 3 to 5 minutes. 1. 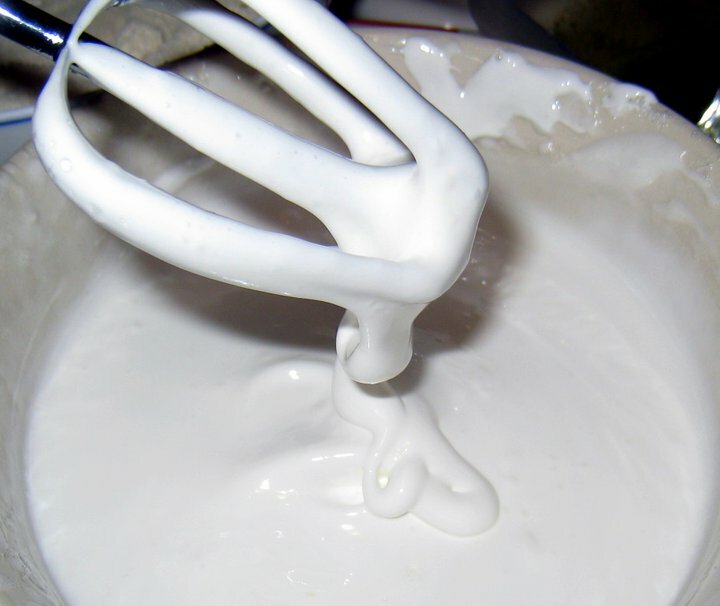 Pour half the egg whites into the bowl of your mixer. 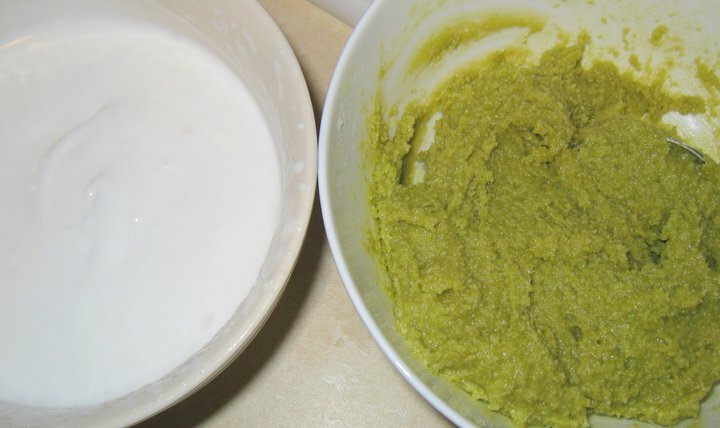 If you're using food coloring and/or vanilla, stir them into the other half of the whites in a bowl. Push the almond flour and powdered sugar through a strainer into a large bowl and whisk to blend. 2. Bring the granulated sugar and water to a boil in a small saucepan over medium heat, washing down the sides of the pan with a pastry brush dipped in cold water. Increase the heat to high, insert a candy thermometer and boil, undisturbed, until the syrup reaches 240 degrees. 3. Meanwhile, beat the whites in the mixer with the whisk attachment over low to medium speed until foamy, then increase the speed and continue until they hold medium-firm peaks. Reduce the mixer speed to medium and slowly pour in the syrup, being careful to avoid hitting the whisk attachment. Beat the meringue on high until the peaks are firm, about 2 minutes, then set aside to rest for about 5 minutes. 4. Pour the unbeaten egg whites over the almond-sugar mixture and top with the meringue; fold everything together, then stir the batter briskly until it falls off the spatula in a slow, moderately thick band. If you want more coloring, add it now. keeping the bag vertical and 1 to 2 inches above the sheet, pipe rounds about 1 1/2 inches in diameter and 2 inches apart onto a parchment-lined baking sheet. pipe fail. But not really. 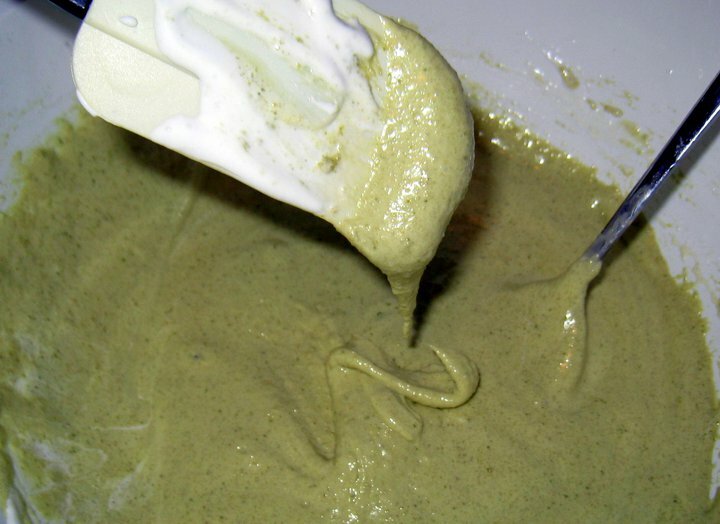 The batter smooths as it flows. 6. 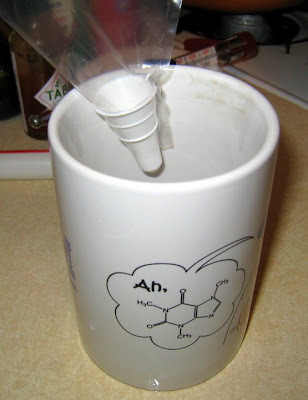 Rap the pan against the counter (or don't), refill the bag and pipe out a second sheet. Set the sheets aside in a cool, dry place, allowing the rounds to rest until you can gently touch the top of the mounds without having any of the batter stick to your finger. 7. Meanwhile, center a rack in the oven and heat the oven to 350 degrees. Place one of the baking sheets on top of a spare baking sheet and slide the double-pan setup into the oven. 8. 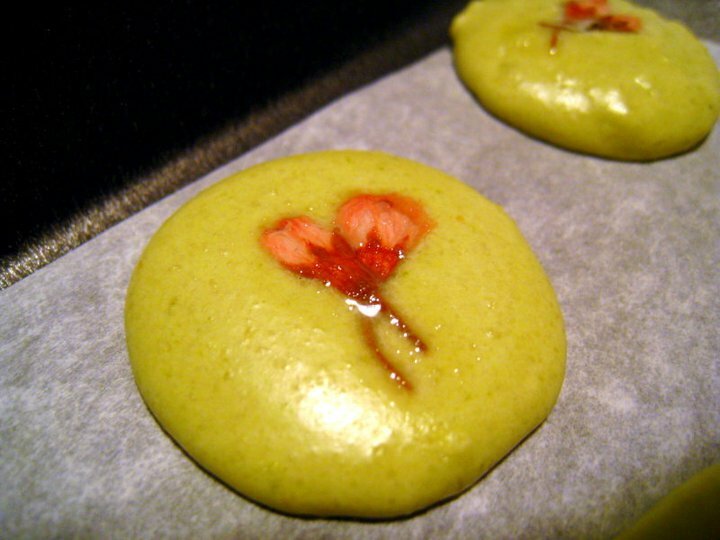 Bake the macarons for 4 minutes, then quickly open and close the oven. Bake them for another 4 minutes and open and close the oven again. Continue to bake the macarons until the tops are rounded and firm and a craggy ridge, the foot, has formed around the base, about 4 minutes (check themacarons after a couple minutes, as the baking time will vary by oven). 9. Slide the parchment off the hot baking pan and onto a counter and set aside until the macarons are cool. 10. 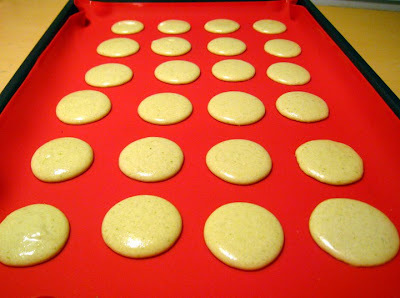 Repeat with the second sheet of macarons. 11. Peel the cooled macarons off the paper and match them up for sandwiching. 12. Pipe a generous amount of filling (about 1 teaspoon, or as desired) on one half of the macaronsand top with their mates. Pack the sandwiched cookies in a container and refrigerate for 24 hours (or for up to 4 days) before serving. Remove from the fridge 30 minutes before serving. Yay, my macarons had "pied"!